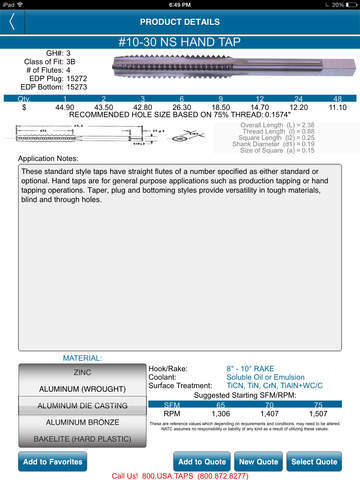 This interactive catalog is ideal for users of metal cutting taps and threading tools. 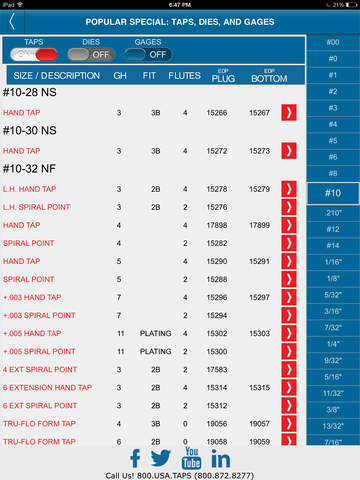 The ‘Thread Tap App’ is an integrated software/’App’ solution that intelligently features catalog sections covering Inch sizes, Metric sizes and taps made to custom specifications. Tooling selections are based on parameters such as tool size, material to be machined, coating recommendations, speeds and feeds data, and other pertinent engineering data. 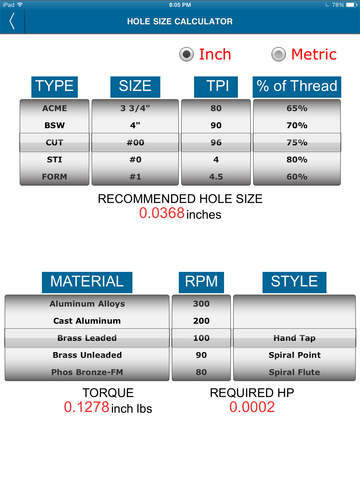 The new Hole Size Calculator computes the Drilled Hole Size based on the tap type, size, threads per inch, and percent of thread. It suggests the closest drill size, and then computes the required Torque and Horsepower. ACME, BSW, Cutting, Forming, and STI tap type selection combined with a large library of materials make this calculator an essential tool for every machinist. 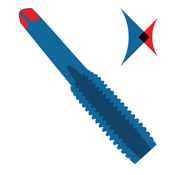 An intuitive Product Finder allows users fast and effective threading tool selections. 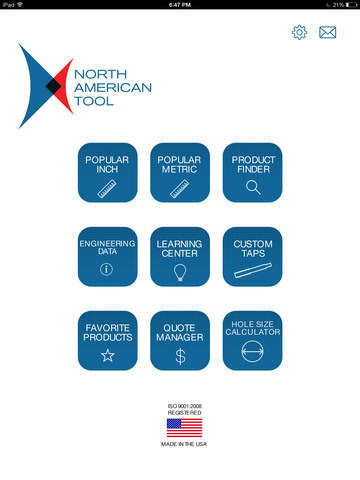 Complete with a tapping Learning Center, Engineering Data, and Quote Manager, the ‘Thread Tap App’ enables users quick access to North American Tool’s line of Popular Special Taps, Dies and Gages.